Opito Point Historic Reserve, looking over Rabbit Island towards Mercury Islands and Great Mercury. Tokarahu Point far left. 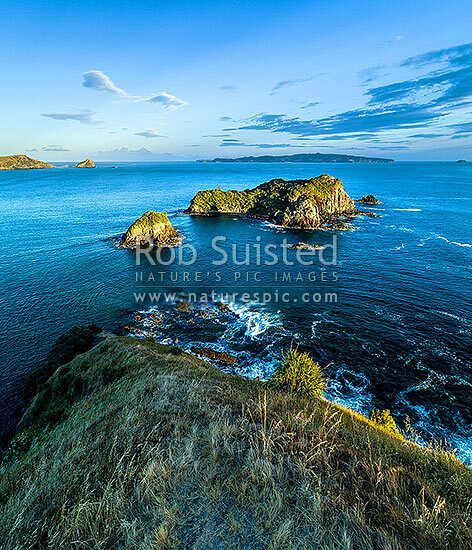 Aerial view, square format, Opito Bay, Coromandel Peninsula, Thames-Coromandel District, Waikato Region, New Zealand (NZ), stock photo.